RSVP is holding their next 8 week group of Aqua Classes beginning Monday, August 27, 2018 at Mt. Aloysius - New Lexington, OH. 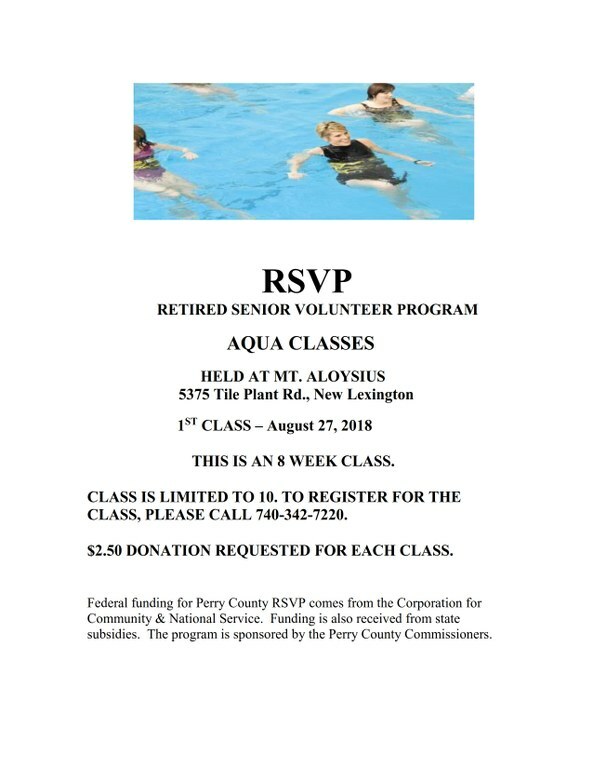 To register for the class, please call (740) 342-7220.